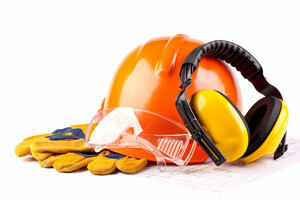 Why Is Workplace Safety Equipment Important? Workplace safety is of utmost important to workers and their employers, who are responsible for the safety of their employees. And companies now take extra effort to ensure that their employees are well protected and have all the safety equipment while they are on duty. A factory or an industrial unit poses several health hazards or risks to its employees. • There are physical dangers owing to worn cords, spills, exposed moving parts and even constant loud noise. • Workers are exposed to chemical substances like liquid, gas or solid. Gasoline, flammable materials, carbon monoxide, fumes and solvents are common chemical hazards on the job. • They are also prone to organic hazards, such as blood, bacteria and animal droppings. • Ergonomic hazards occur if they work in a position that causes a great deal of strain. This includes jobs that require frequent lifting or working in poor lighting conditions. Every workplace or companies gives their employees enough training to safeguard them from potential dangers. Most companies will also have polices on safety and will also give a slew of guidelines to avoid workplace injury. However, despite taking all these measures, accidents at the workplace are still very common, with thousands of cases being reported every year. Luckily, safety equipment used on the job can prevent a large percentage of work-related injuries. Some of the most important safety equipment every industrial worker should use is listed below. Having said that, it depends on the job they do. However, these are some of the basic safety equipment that will prevent accidents at the workplace. Gloves, safety glasses, harnesses, ear plugs, protective clothing and face masks are some of them. Protective clothing: Those who work in the automobile industry should wear protective clothing. It is unavoidable for construction workers, chemists or any other work that exposes them to potential hazards. Body harnesses: If you work in the construction industry where you have to climb ladders you need fall protection. Respirators: If you are exposed to harmful chemicals at your workplace, then you need respirators that will purify the air you breathe. Work gloves: They will protect you while handling chemicals. It should also be used by workers in the construction industry. It will protect your hands. The material of the gloves will defer from industry to industry. Those who work in the chemical industry should use rubber gloves and those in the construction field should use metal gloves that will protect them from abrasions. Hearing protection: This is one other safety equipment construction workers should use as they are exposed to loud noise on a daily basis. Safety glasses: This will protect your eyes from debris or any infectious material. Safety glasses come in a variety of sizes and shapes. There are glasses, goggles, face shields etc, depending on the type of surroundings you’re working in or the dangers you are exposed to. While buying safety glasses always see to it that you are getting a good or clear vision while wearing the glasses and they are a perfect fit.